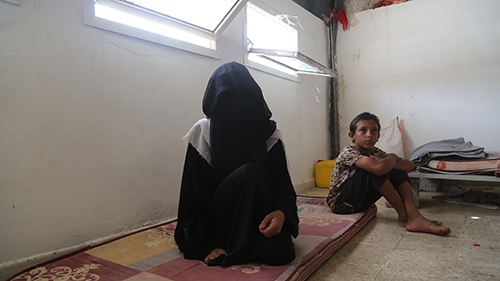 Home News "I was not ready to lose my child"
ADEN, Yemen – Seventeen-year-old Samah was six months pregnant when her house in Hodeidah was bombed. The stress and exhaustion took a toll on Samah’s body. After reaching Aden, she developed complications in her pregnancy. Samah is one of more than 90,000 pregnant women who were living inside Hodeidah when the violence there escalated, according to UNFPA estimates. Among them, an estimated 14,000 are at risk of complications that – without immediate medical treatment – put their lives in grave danger. 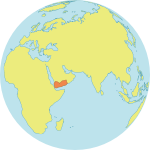 Yemen has one of the highest maternal mortality ratios in the region. In 2015, an estimated 385 women died in childbirth, or as a result of pregnancy-related complications, for every 100,000 births. Today, maternal deaths are likely to have doubled. 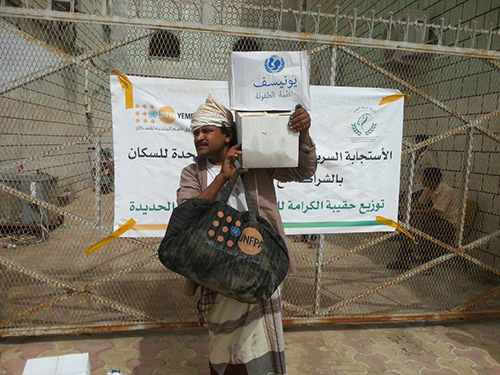 In response to the crisis in and around Hodeidah, UNFPA is leading a rapid response mechanism to distribute life-saving supplies, in partnership with UNICEF and WFP. The rapid response kits delivered through the mechanism include ready-to-eat foods provided by WFP; basic hygiene kits for the entire family, provided by UNICEF; and dignity kits for women and girls, provided by UNFPA. The mechanism serves displaced pregnant women like Samah, as well as those who live in hard-to-reach areas or are stranded close to the front lines. In addition, the most vulnerable returnees can receive critical supplies and care at humanitarian service points located across the Hodeidah, Sana’a, Aden and Ibb Governorates. These service points also have protection desks staffed by UNFPA-supported teams of social workers, offering support and referral to psychosocial support, counselling, legal aid and cash assistance. Since June 2018, more than 3,000 women and girls have been reached through these service points. UNFPA also supports more than 150 health facilities providing emergency obstetric and neonatal care and assisting at complicated deliveries, serving both displaced women and those inside Hodeidah. Hodeidah has been a lifeline for millions of people who depend on humanitarian assistance. Close to 70 per cent of all humanitarian aid and nearly all commercial food stocks for northern Yemen enter through its port and that of Saleef, just to its north. UNFPA’s emergency response to address the needs of women and girls in the area is supported by the European Union, Japan, Kuwait, Saudi Arabia, the United Arab Emirates and the Yemen Humanitarian Pooled Fund. Like Samah, Fatima found her pregnancy and her life in danger when the fighting escalated near her home, close to Hodeidah’s port. Continuous bombing forced Fatima and her family to flee their home. She was eight months pregnant by then – and by the time she reached safety in the Mawiya district in Taizz, she was bleeding severely. Referred to a UNFPA-supported women’s space in Taizz, Fatima received the medical care she needed, along with a rapid response kit and cash assistance. She delivered a healthy baby in a UNFPA-supported maternity unit. Samah, too, was able to deliver her baby safely. Arriving at a humanitarian service point in Aden, she was immediately referred to the city’s Al-Sha’ab Hospital.